We have had another busy week at SCRT. We started off the week with a 3-day Lead Welding course, which is accredited by the Lead Sheet Association. This ran alongside the Diploma course, the students are on the final leg now, with synoptic tests coming up soon. We had successful candidates on Health & Safety Tests (Working at Height). It is important for anyone working at heights to have the knowledge gained from revising for this test in their skills bank, and passing the test will lead to a CSCS card, a requirement for working on-site. 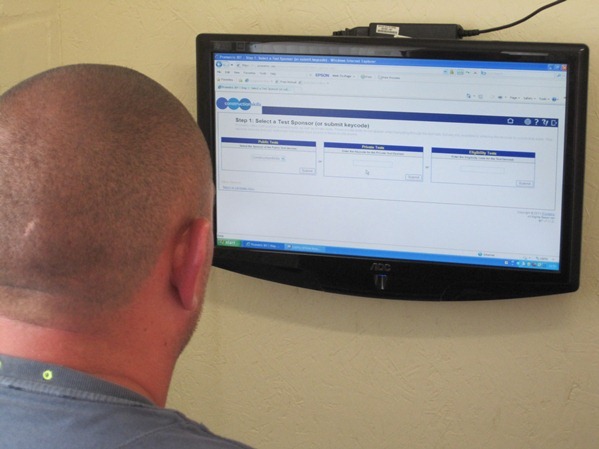 We also offer tests on other aspects of construction H & S – see our Health & Safety Test Centre page. We held our first 1-day solar panel installation course, in conjunction with Ploughcroft Training. The roofers involved found it to be an informative and interesting day. At the end of the week we had the Heritage Skills NVQ Level 3 Specialist Apprenticeship Programme candidates in at SCRT. Having recently completed tiling elements on our ‘barn’ rig from scaffolding, such as a triple undercloak verge, swept valleys and a curved roof detail, they moved to floor-level rigs to work on tiled laced valleys. Where necessary, the tiles are cut by hand (a required technique, although it is time consuming). The verges are bedded using lime mortar. 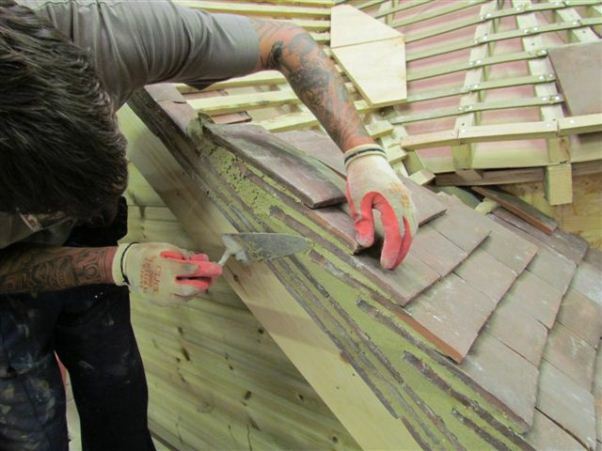 We will soon be announcing the start date of the next Heritage Skills NVQ Level 3 SAP in Roofing. Friday saw the continuation of a 5 Day SMSTS course (Site Management Safety Training Scheme – run through CSkills) to give site managers and supervisors awareness of a wide range of H & S matters in the construction industry, which we are hosting at the Training Centre in Littlehampton. If you are interested in attending any of the above courses, or any others listed on our website, please contact us on 0845 678 0065.